Firstly, I'd like to wish you all a very Happy New Year! I hope that you all had an enjoyable festive season, and I'd love to hear if you received any books for Christmas. I'm sure that A Kiss From Mr Fitzgerald would've been wrapped up and put under quite a few Christmas trees this year! 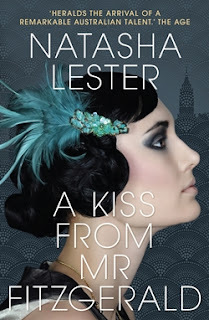 A Kiss From Mr Fitzgerald by Natasha Lester is one of those stories that you wish could go on just that little bit longer, it is that good! It is set in the 1920's era, in New York, and the main character is a young woman named Evelyn ‘Evie’ Lockhart. 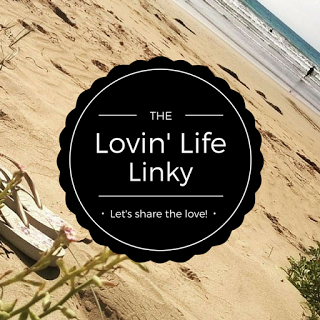 Evie's family expect her to marry young and have children, but she has other ideas. She wants to study to become one of the first female doctors, and be able to deliver babies. After facing much difficulty, Evie is finally accepted into medical school, and she pays her way by getting a job on Broadway as a Ziegfield Follies girl in the evenings. There is nothing that will prevent Evie from fulfilling her dreams, and that is what I most enjoyed about her. Evie is everything I admire in a female character – she is strong, inspirational, determined, and always willing to push herself that little bit further to get where she wants to go in life, regardless of the hurdles. Natasha's descriptions of everything from the fashions of the bygone era, to New York’s landscape, to obstetrics, are highly detailed, and you can tell that she has researched these topics extensively. I loved Natasha's writing style in this novel. I really felt for Evie, she certainly did it tough, having to fight her way to be treated equally. I haven’t read a book of this genre in a while, and I must say that this one was told so well; I relished being taken back to the ’20’s and reading about the struggles women faced based on their gender. And can we just take a moment to admire the book cover - talk about stunning!! I would love to see this book adapted to television or film. I look forward to reading more from Natasha Lester. Her new novel, 'Her Mother's Secret' is set to be released in March 2017, and I look forward to getting my hands on a copy! Disclaimer: I was given a proof copy through Beauty & Lace. All opinions are my own and are not influenced in any way. I have not been paid for this review. I will adding this book to the to-buy list. sounds really good. This one is on my TBR list & everything I've heard about it has me moving it closer to the top of that pile.